Vladimir Matorin continues to be in great demand as one of the foremost exponents of the Russian and Italian bass repertoire. He was born in Moscow and studied at the vocal faculty of the Gnessin Musical Institute with Yevgeny Ivanov. 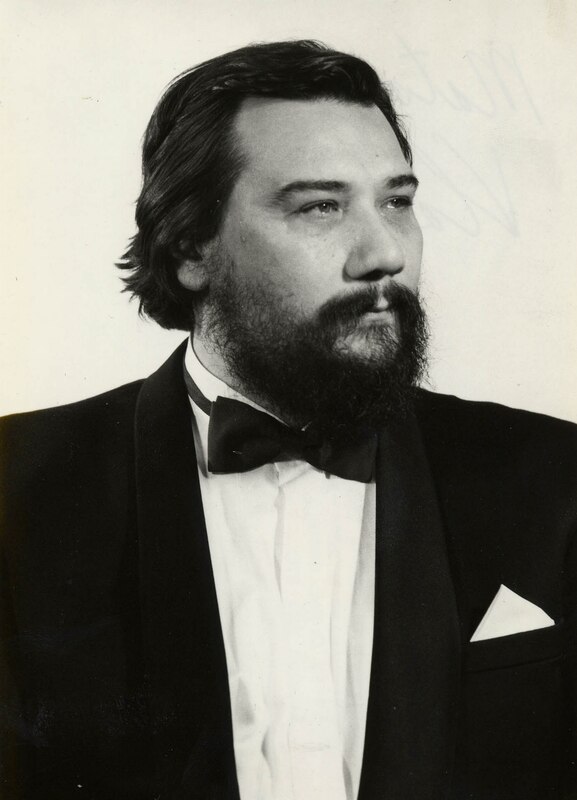 He won prizes at the International Vocal competition in Geneva and the Glinka competition and was a member of the Stanislavsky and Nemirovich-Danchenko Music Theatre in Moscow with whom he toured worldwide. As a result of performing the title-role of BORIS GODUNOV in the original version on video, he was invited to join the Bolshoi Theatre where he made his debut in THE INVISIBLE CITY OF KITEZH. His roles there now also include the title-role of BORIS GODOUNOV, Don Basilio IL BARBIERE DI SIVIGLIA, Susanin LIFE FOR THE TSAR, King René IOLANTA, Galitzky PRINCE IGOR, Prince Gremin EUGENE ONEGIN and the title-role ALEKO. Recent engagements include Chub THE TSARINA’S SLIPPERS at the Royal Opera House Covent Garden; Mendoza BETROTHAL IN A MONASTERY and Kecal THE BARTERED BRIDE both in Valencia; Varlaam BORIS GODUNOV in Florence, Barcelona and Brussels; THE NOSE for the Teatro São Carlos in Lisbon; and a return to the Opera Bastille for WAR AND PEACE; Boris LADY MACBETH OF MTSENSK in Geneva; Varlaam BORIS GODUNOV in Madrid and Strasbourg; SparafucileRIGOLETTO in Marseilles, Angers and Nantes; Old Convict/Priest LADY MACBETH OF MTSENSK with Israeli Opera and Dikoy KATYA KABANOVA in Oviedo. He has appeared at opera houses around the world including Madrid, Lyon, Genoa, Nantes and Montpellier. He has sung the title role of BORIS GODUNOV (Grand Theatre of Geneva, Chicago Lyric Opera, Houston Grand Opera, Opera de Lyon and New Zealand Opera) and appeared in WAR AND PEACE and BORIS GODUNOV (Pimen) for the Opera National de Paris, Bastille. At The Royal Opera House Covent Garden he has sung King Dodon LE COQ D’OR as well as Varlaam BORIS GODUNOV and at the Metropolitan Opera in New York Pimen BORIS GODUNOV. He has appeared with conductors such as Bruno Bartoletti, Gary Bertini, Oleg Caetani, Mark Ermler, Vladimir Fedosejev, Valery Gergiev, Mikhail Jurowski, Vladimir Jurowski, Alexander Lazarev, Gennady Rozhdestvensky, Vjekoslav Sutje, Evgeny Svetlanov and Alexander Verdernikov. On the concert platform he has appeared at many recital venues throughout Europe and the United States and has most recently performed with the Moscow Philharmonic, the Bolshoi Opera Orchestra and the Tchaikovsky Conservatoire Orchestra. He has also sung Moussorgsky Songs and Dances of Death with the Flemish Opera Orchestra conducted by Massimo Zanetti He also appeared in concert performances of Rachmaninov FRANCESA DA RIMINI at the Konzerthaus in Berlin. He has recorded the title role of BORIS GODUNOV with Vladimir Fedosejev and has appeared alongside Placido Domingo on Moscow’s Red Square as part of the cities 850 years celebration.